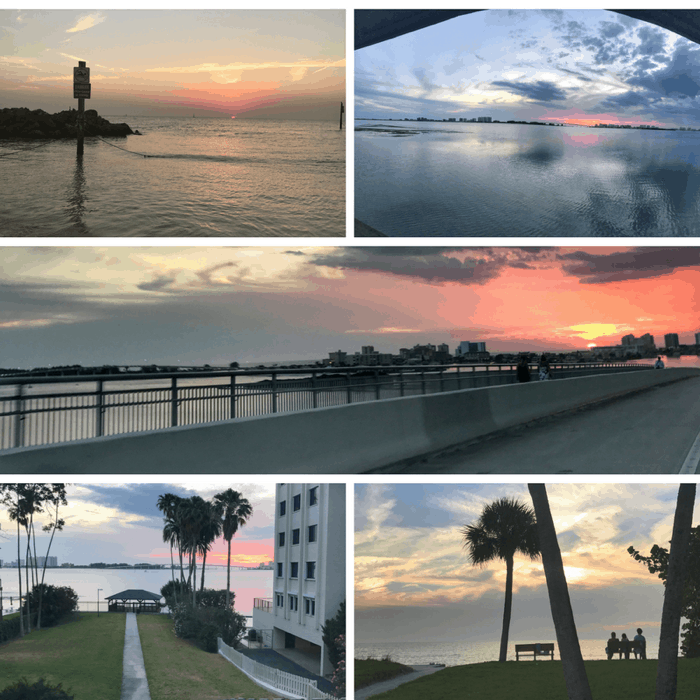 It only took my husband and I a few hours to fall in love with Clearwater, Florida. 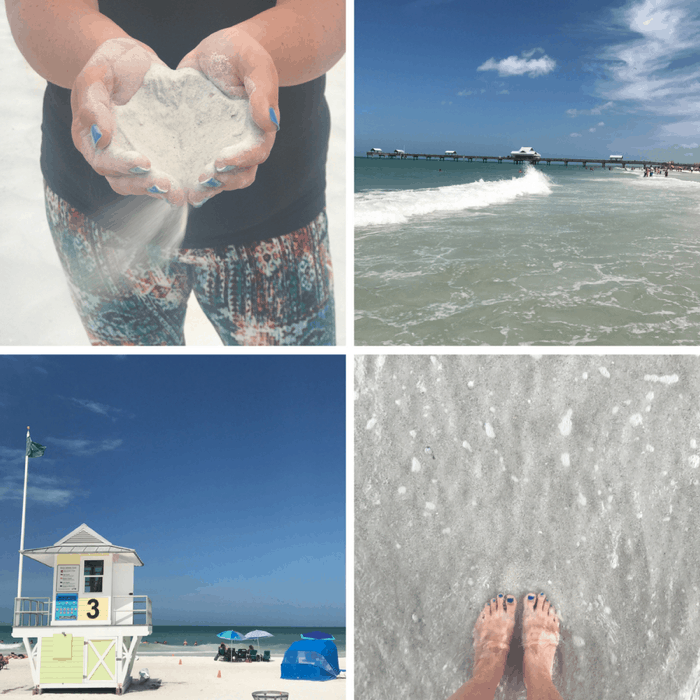 Our weekend getaway helped us understand why so many choose to go back to Clearwater Beach year after year. 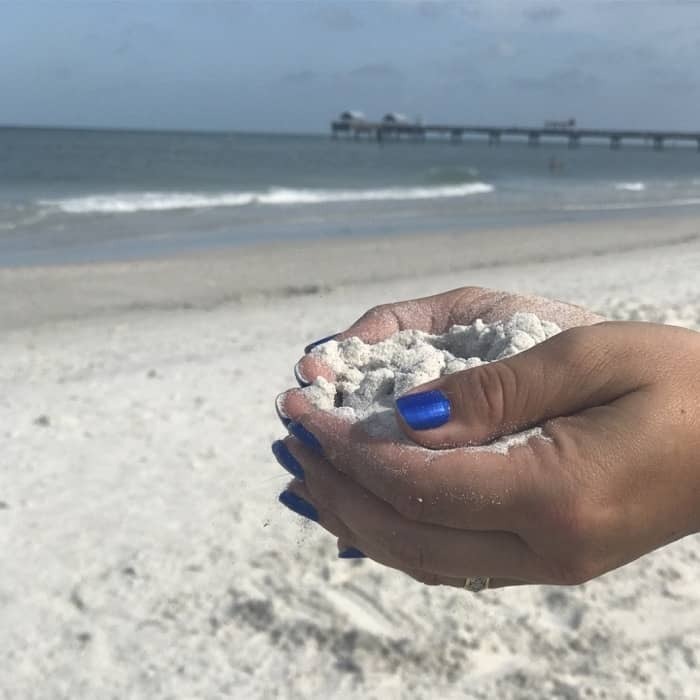 The clear water matches its namesake and the white sand is soooo soft that it feels like pillows for your feet when you walk down the beach. During our visit, the water temperatures were warm enough to swim in the ocean comfortably. 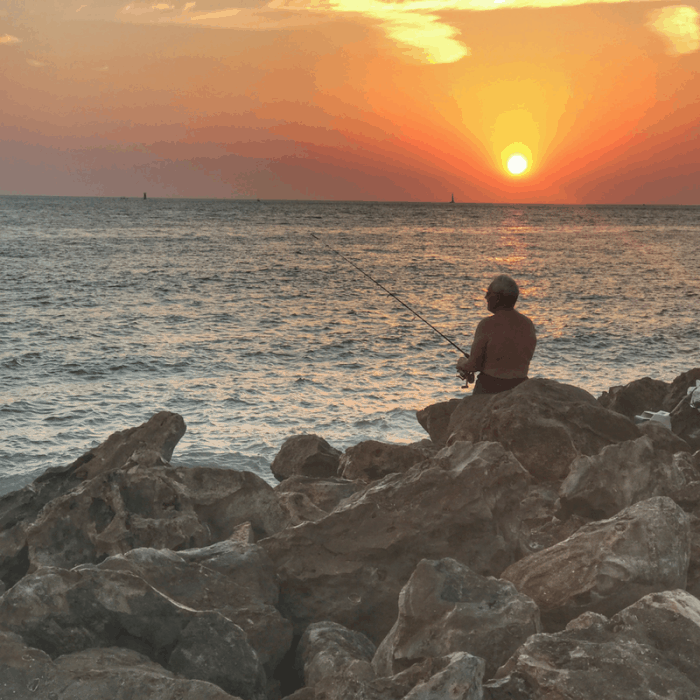 If you prefer to spend most of your vacation time on the beach, you will discover plenty of lounge chair rentals available along with water sports rentals. 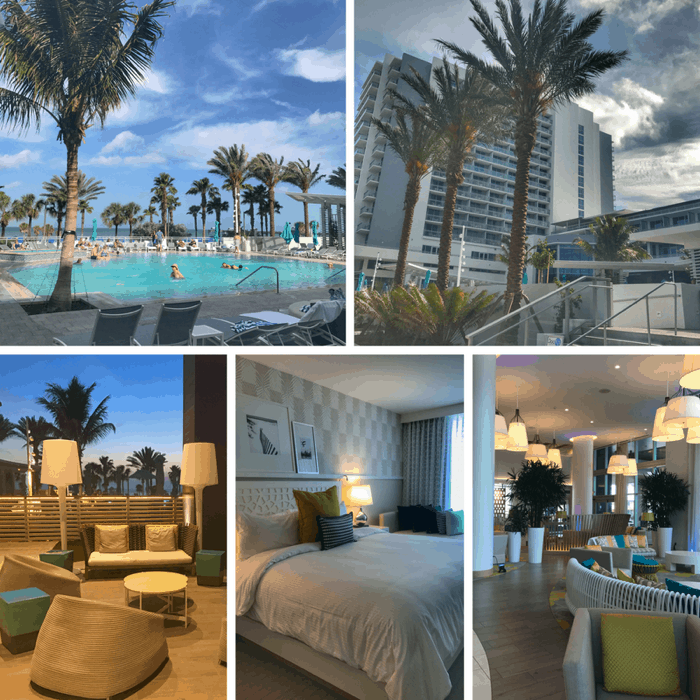 During our visit, we stayed at the gorgeous Wyndham Grand Resort located in the heart of Clearwater. Our balcony gave us views of both the Gulf of Mexico and the bay. The property location is extremely convenient to everywhere you would want to be. You can truly park once and not use your vehicle until you leave if you want to. The only way that you can park your vehicle at the resort is by the complimentary valet which sets the tone for vacation mode. It was so wonderful to melt into my bed (Simons Beautyrest Cape Brenton Pillowtop Mattress) after full throttle days filled with fun. I even called the resort to find out the what type of mattress it was and they said that it’s a pretty common question and that you can even buy them online. The bed is that memorable! 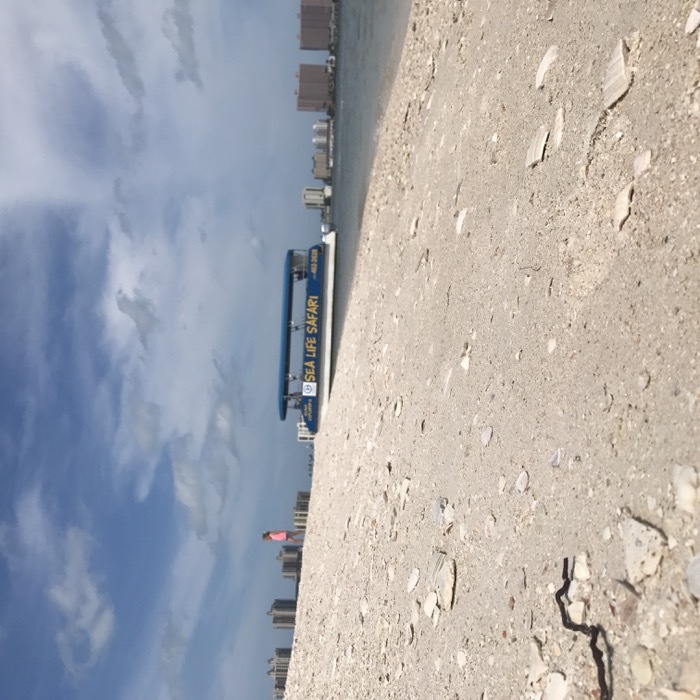 The Wyndham is steps away from the beach and a short distance to the pier, downtown shops, and the marina where you have multiple charters and tour options. One of my favorite parts about visiting a destination is trying out the local food. We had a lot of fantastic options to choose from and we were both very happy with each of the restaurants that we selected during our visit. 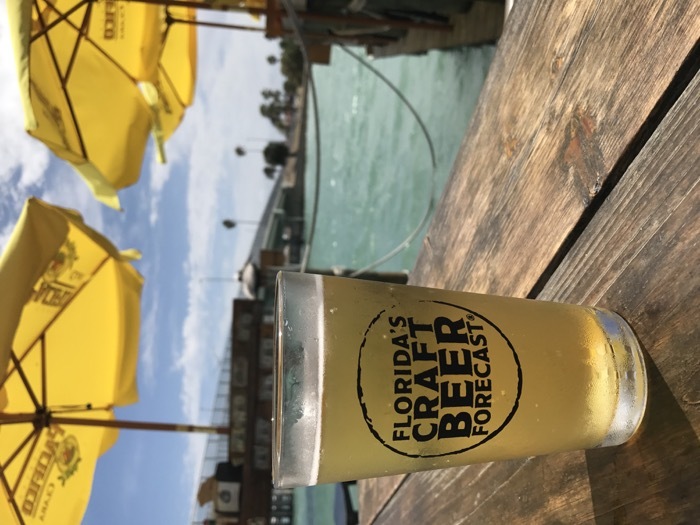 In fact, we wouldn’t change a thing…except maybe the amount of time we had in Clearwater because we loved the area so much. 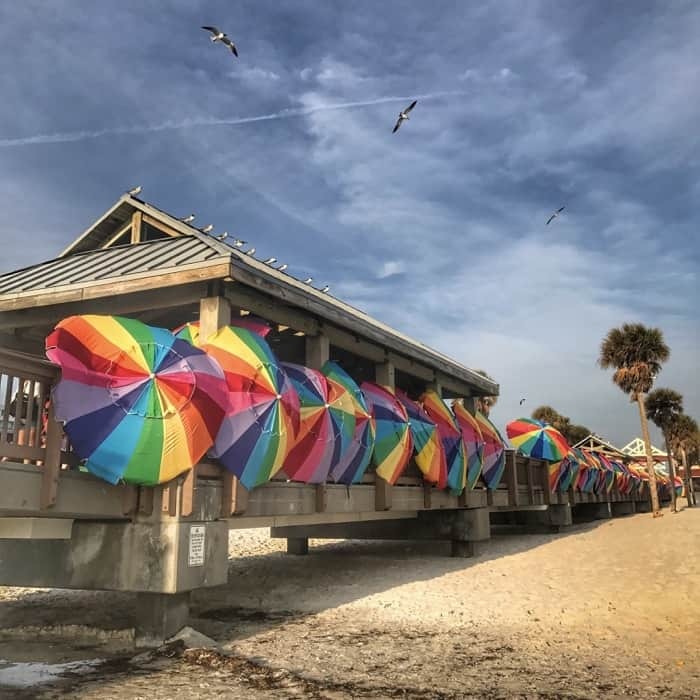 Located on the beach, Frenchy’s Rockaway Grill is known for their Grouper Sandwiches, Grouper nuggets, and their She Crab soup. So, of course, we opted for all of the above. 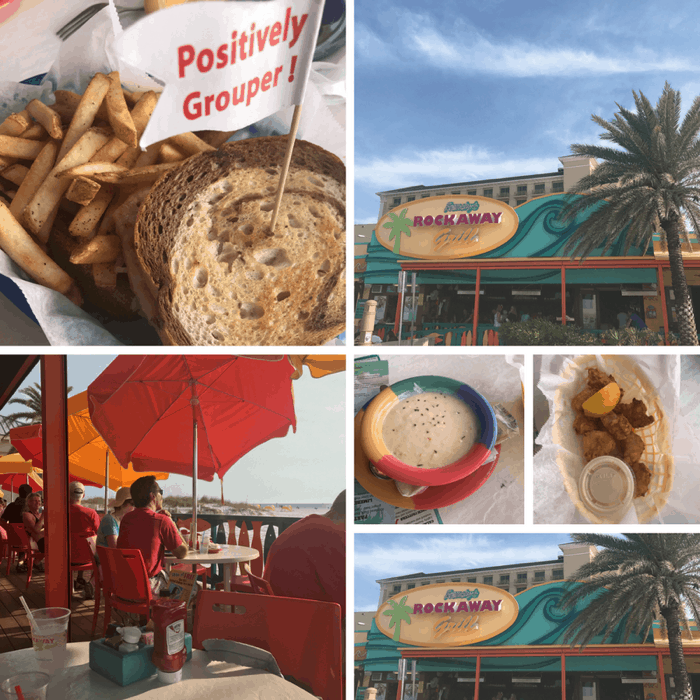 The only variation was that we ordered the Reuben version of Frenchy’s World Famous Grouper Sandwich. There is dining available inside, you can sit at the outside bar, or enjoy a table with a view of the beach. Frenchy’s has multiple restaurants in the Clearwater area that each has its own personality. We opted for the beach location because you can’t beat those gorgeous turquoise views while you are eating. 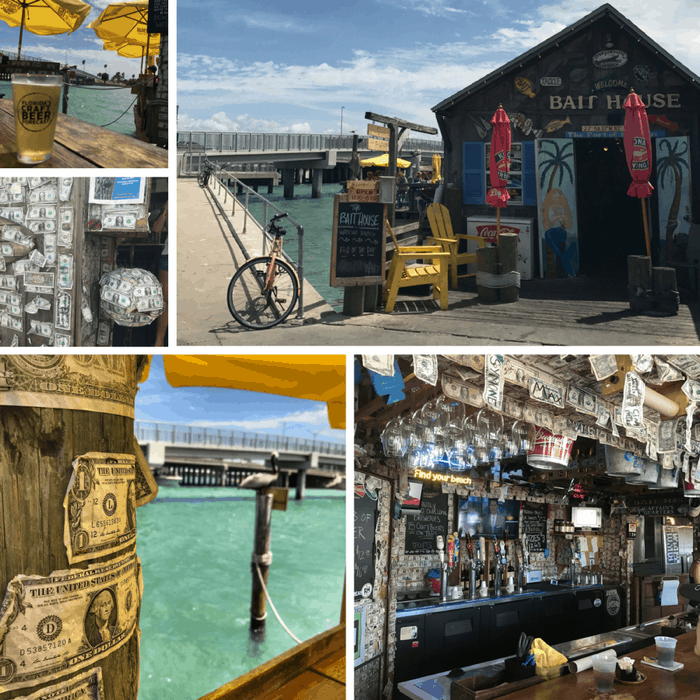 Located on the bay, this tiny gem is worth discovering. 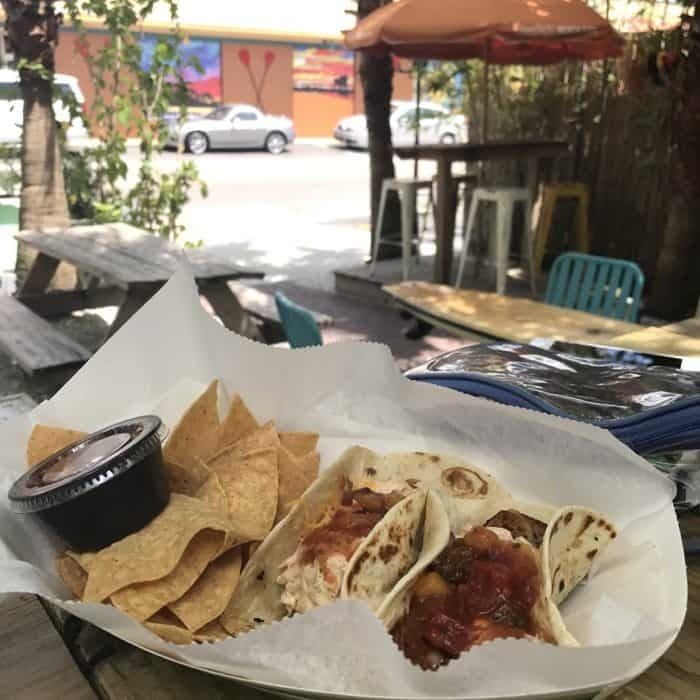 You can’t go wrong with fish tacos…ever! We noticed the Bait House during a walk and decided to give it a shot. The inside has a little store where you can purchase bait and tackle. There is a small covered bar area and table seating on the deck. There is an additional deck where you can drink if you are waiting for a table. Dollar bills from previous guests cover just about everything that you see. It’s always a good sign when customers want to wallpaper a restaurant with their dollars. 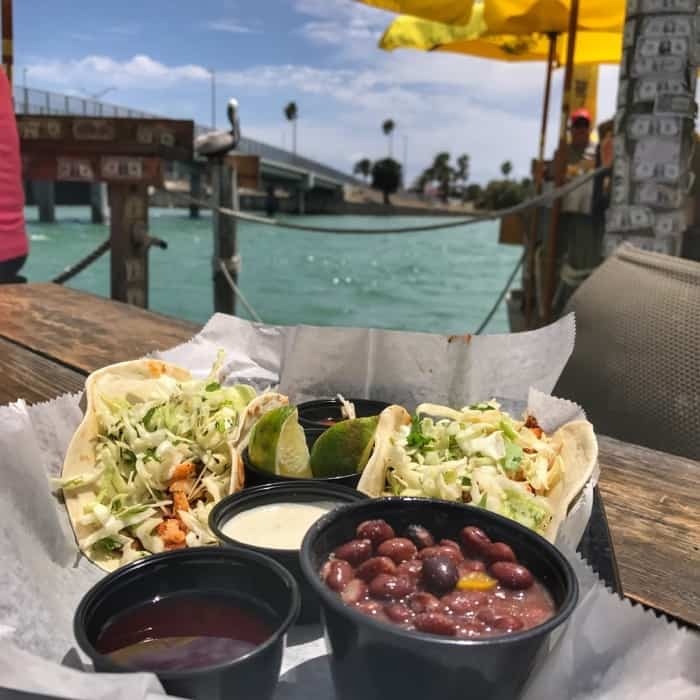 We opted for fish tacos made with the fresh catch of the day while enjoying the beautiful bay views and relaxed atmosphere. When I said fresh, you can’t get any fresher than fishing boats bringing you their catch directly to your dock every day, it’s that fresh. I found out about Pearly’s from an online article about great cheap eats in Clearwater. 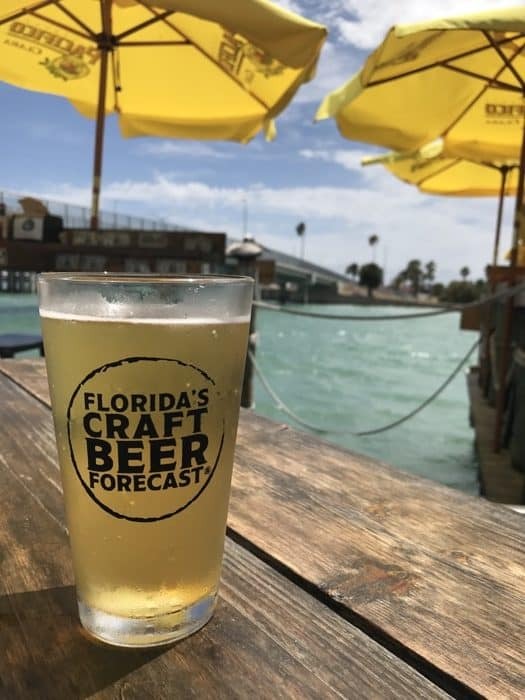 Located about a block off of the strip, this Clearwater gem only has outdoor seating available with colorful chairs and creative tables. 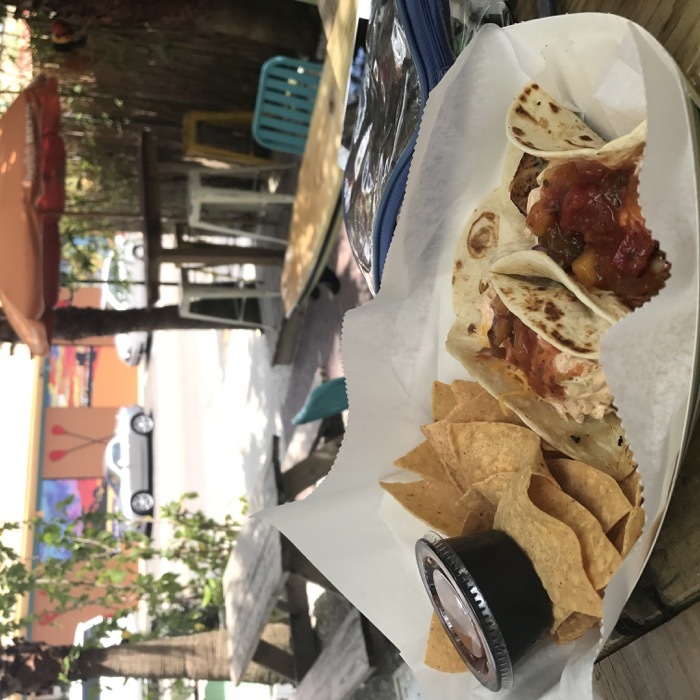 Their blackened fish tacos are served with chips and mango salsa were a highlight of the weekend. 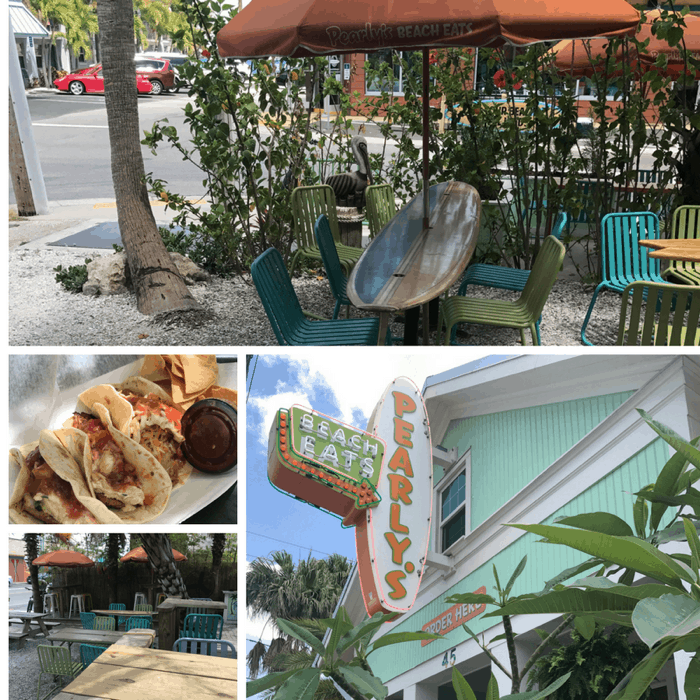 We even considered going back to Pearly’s for another meal but decided to check out a few other options. Clear Sky Cafe came highly recommended by the man we met at the visitor center. You know it’s good when a local says that they eat there 3 times a week. After our meal, we understood why. We ate a late dinner on the side outdoor patio. The atmosphere was cozy with live music playing in the background. 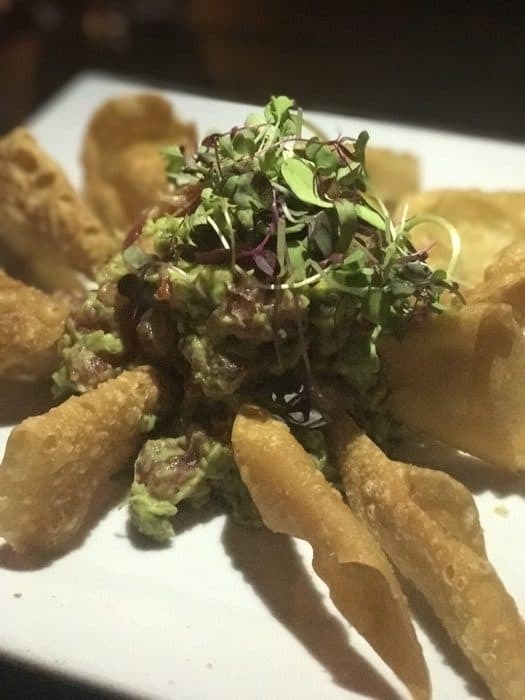 For appetizers, we ordered the Tuna Guacamole (Ahi tuna, fresh avocado, ponzu sauce served with wontons)….AMAZING!!! For our entree, we ordered….. big surprise…..fish tacos. I ordered the blackened shrimp and my husband ordered the Mahi tacos. Perfect meal for our last dinner in Clearwater. I don’t think that you can wrong with any of their menu options. It’s not a vacation without ice cream, right??? There were many options to choose from for ice cream and we ended up at Ice & Cream Creamery. 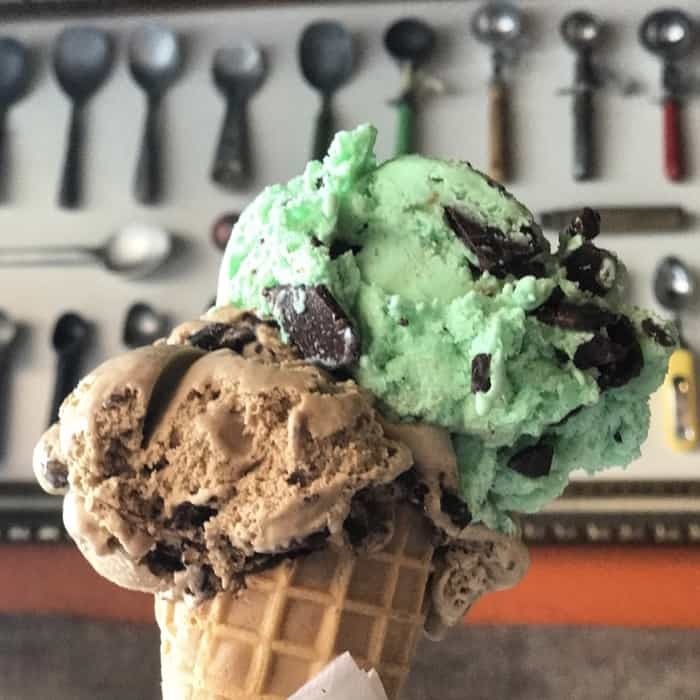 Their ice cream is fresh and locally sourced. I had visions of eating my ice cream on the beach but it melted super fast…which meant that I had to eat it even quicker. You have multiple options to see dolphins in Clearwater. I’ve had a special place in my heart for dolphins every since I was a little girl and I was so happy to experience them in a variety of mediums. 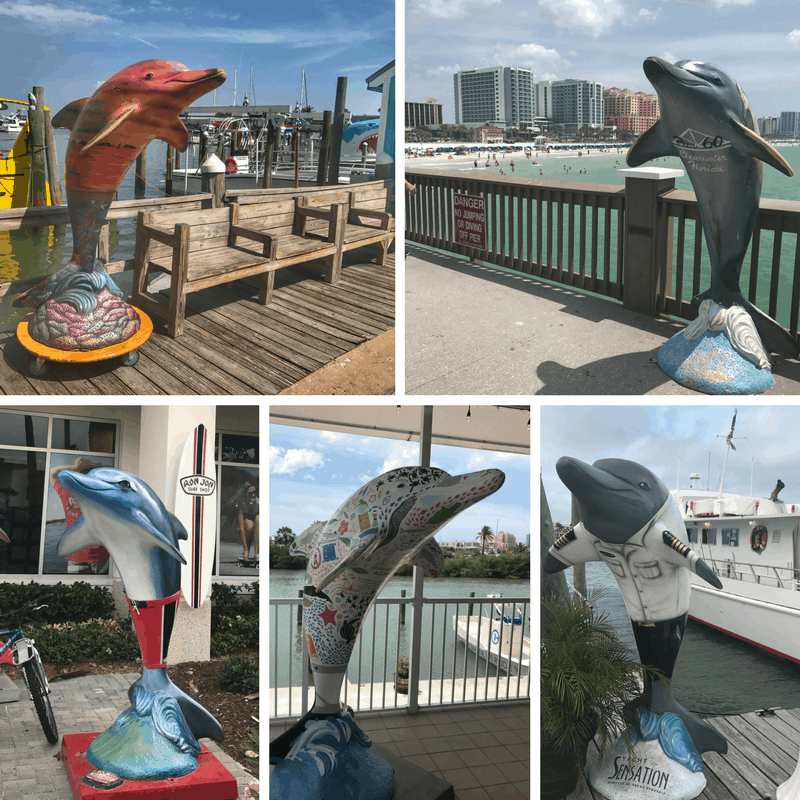 There are more than 120 dolphin sculptures on the Clearwater Dolphin Trail located throughout Clearwater. It’s fun to discover the creativity and personality that local artists designed on each one. 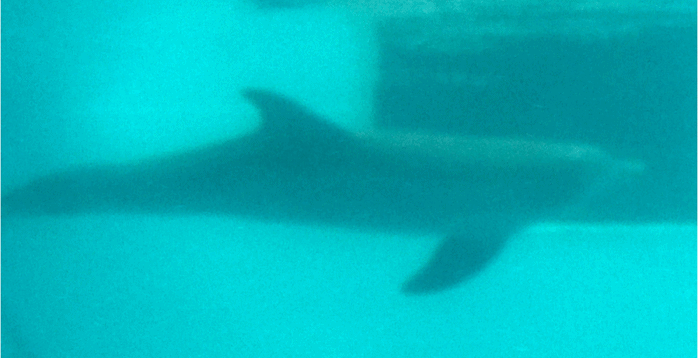 I still get giddy every time that I’m fortunate enough to see a dolphin in the wild. 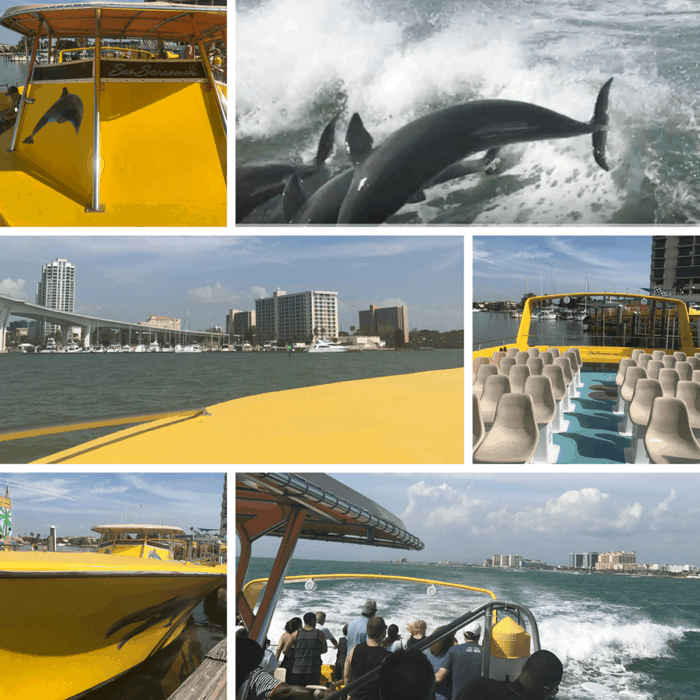 The Sea Screamer dolphin boat ride did not disappoint. 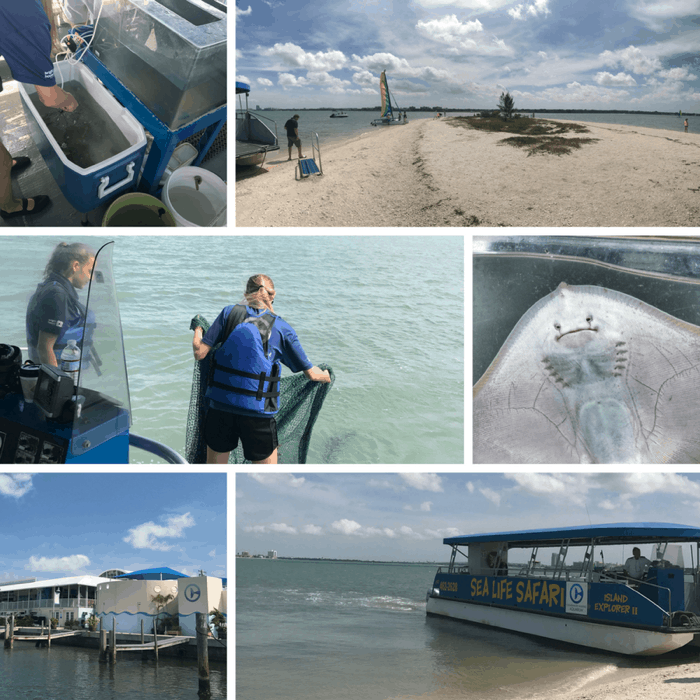 We took the 4pm ride on the Sea Screamer that gave us some history of the area along with the best part, which was the dolphin sightings on the world’s largest speedboat. 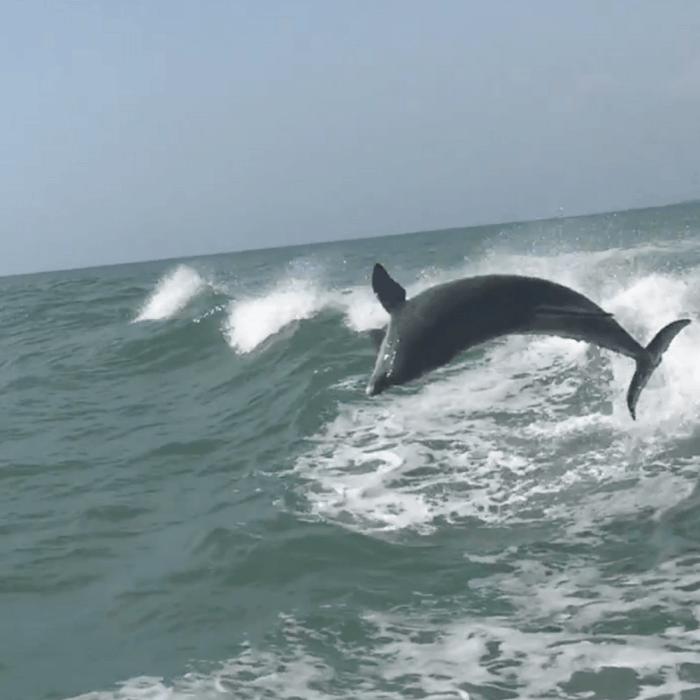 They even played Van Halen’s song “Jump” each time the dolphins jumped our boats wake. The boat ride gives you another perspective of the area and it’s perfect for all ages. 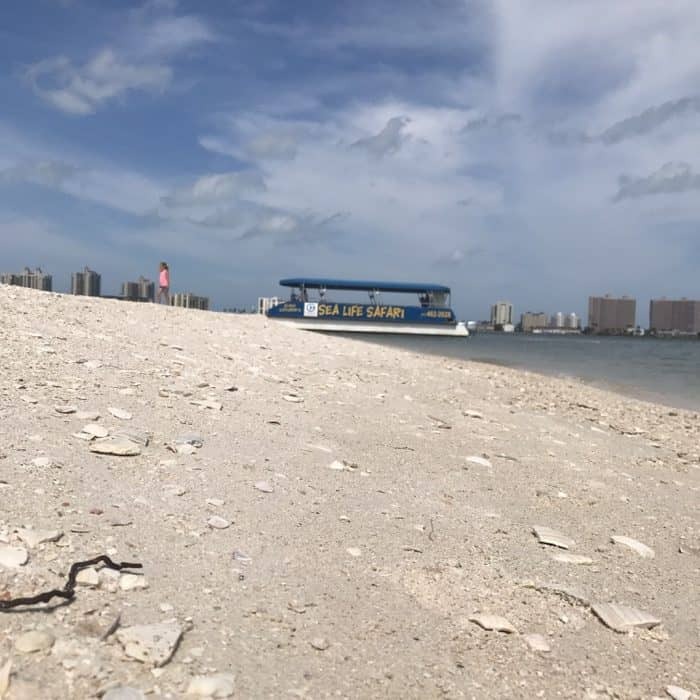 During our 90 minutes Sea Safari tour, we were educated about the local ecosystem, saw several dolphins in the bay, collected sea shells on a man-made island, witnessed a data collection where they gather samples from the ocean. This tour inspired us to treat sea life with a sense of wonder and respect. The butterfly ray (pictured above) was collected for data and released at the end of the day. The daily data collected helps monitor the health of the ecosystem. The tour was a great mix of education and hands-on learning. 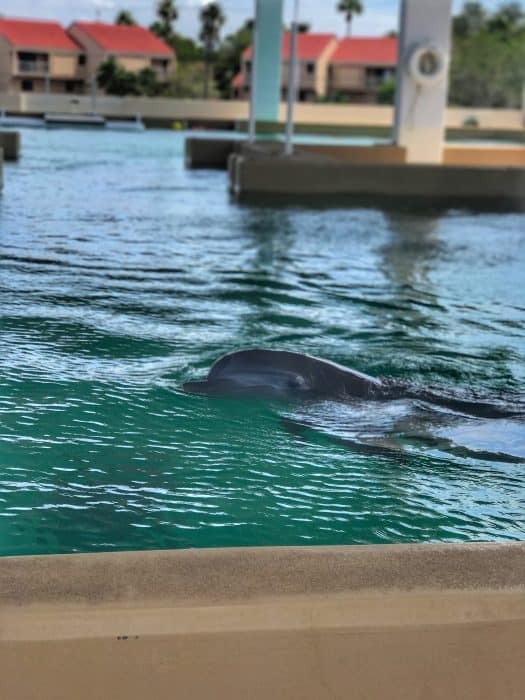 The movie “Dolphin Tale” about the dolphin named Winter who lost her tail, put the Clearwater Marine Aquarium on the map, but they were advocating for sea life long before the media and movie shared their story. It is truly such a special place. 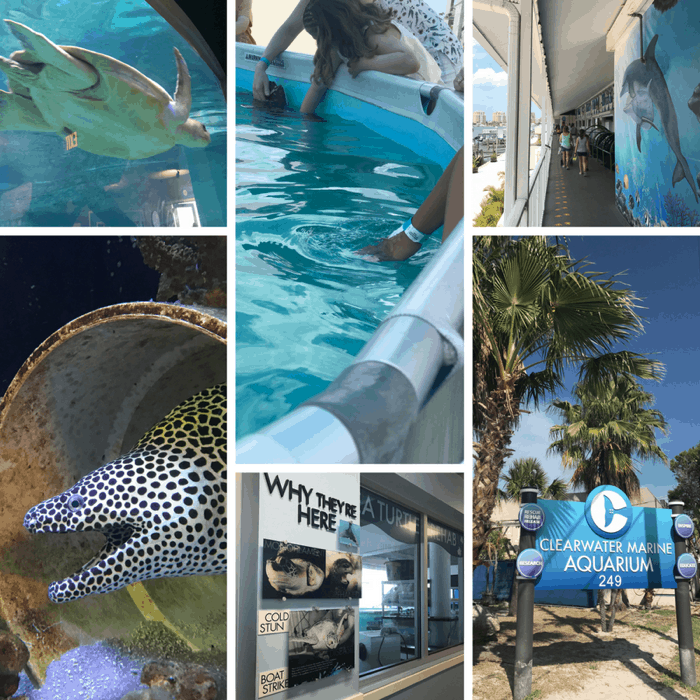 The mission of rescue, rehab, release, and passion behind it, is evident with every volunteer and staff you encounter at Clearwater Marine Aquarium. 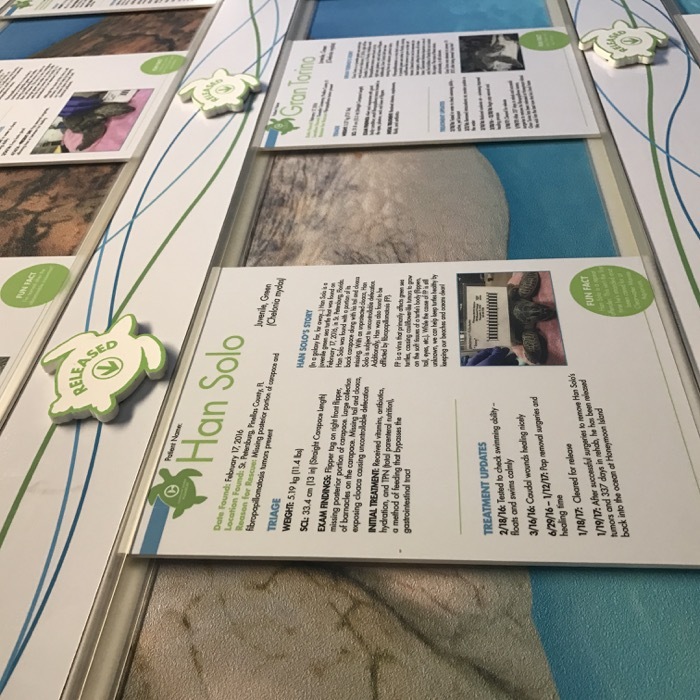 In fact, the walls are filled with success stories of animals that were able to be released. The permanent residents are the ones that would not have the survival skills to make it on their own. 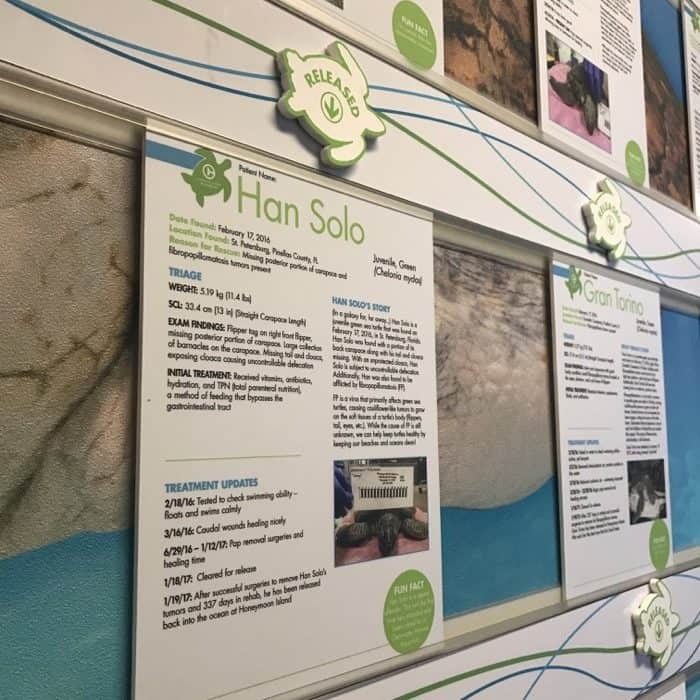 During your visit, you can partake in an interactive educational talk, watch a short film, learn more about scenes from the movie filmed on location, check out underwater viewing of the animals, and explore exhibits. This is a working animal hospital with a goal of releasing the animals whenever possible which makes it, unlike a typical aquarium experience. There are also limited behind the scenes experiences available so make sure that you book in advance if possible because they fill up quickly. 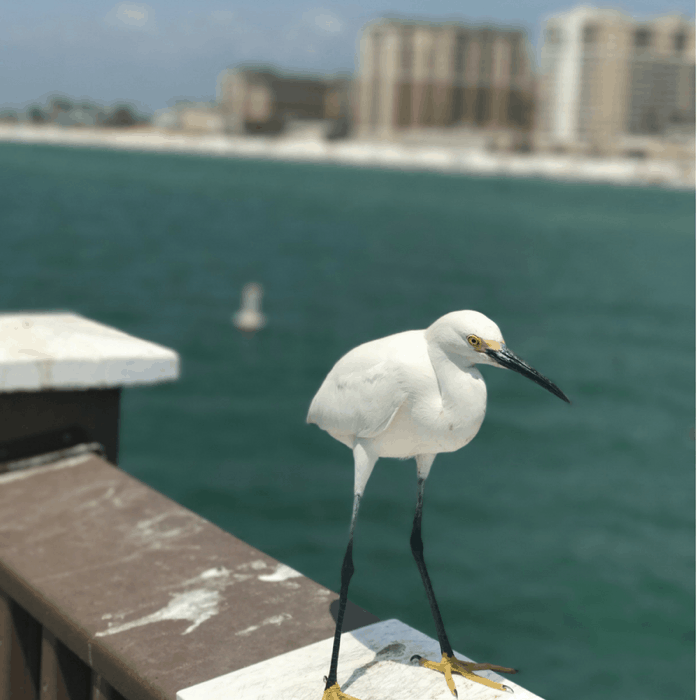 Walk down the pier for another perspective, pay an additional dollar and you can walk to the very edge and get a closer look at the fishermen’s catch of the day. Kids will also enjoy playing at the nearby covered playground and open green space. Whenever possible, I try to stop at the local Visitor Center when I’m visiting a destination for the first time. They are a great resource for local events, attractions, and local restaurants. We asked for restaurant recommendations and the best way to make use of our time during the weekend. 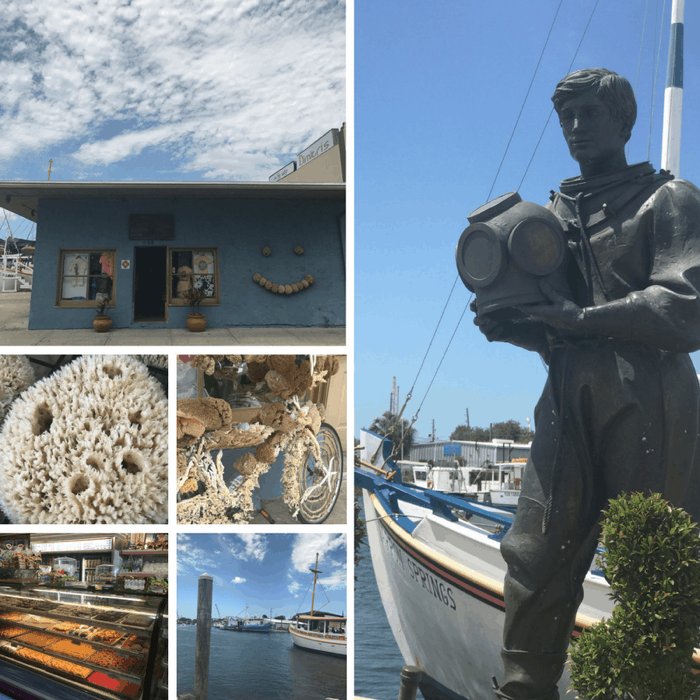 We booked a boat tour and dined at two restaurants based on his wonderful recommendations. 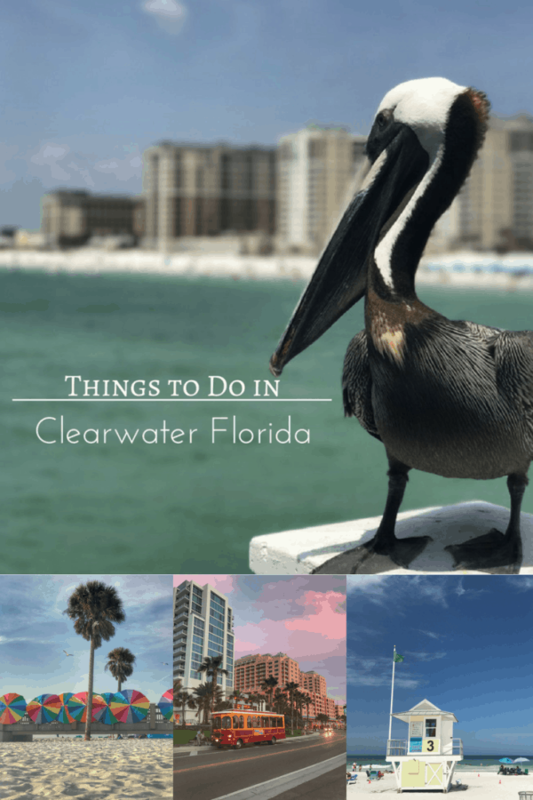 The Clearwater Visitor Center is conveniently located within close proximity to Pier 60. There are plenty of shops to choose from to find the perfect souvenir or pick up something to use during your visit. 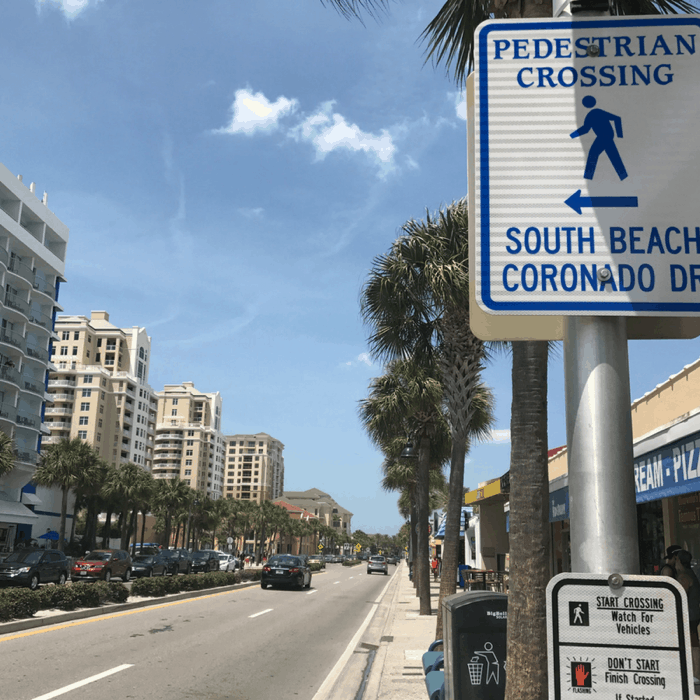 Make sure that you cross the road at the crosswalks because they do enforce ticketing for jaywalking to help keep pedestrians safe. If you don’t want to worry about finding parking during your visit you have several affordable options. 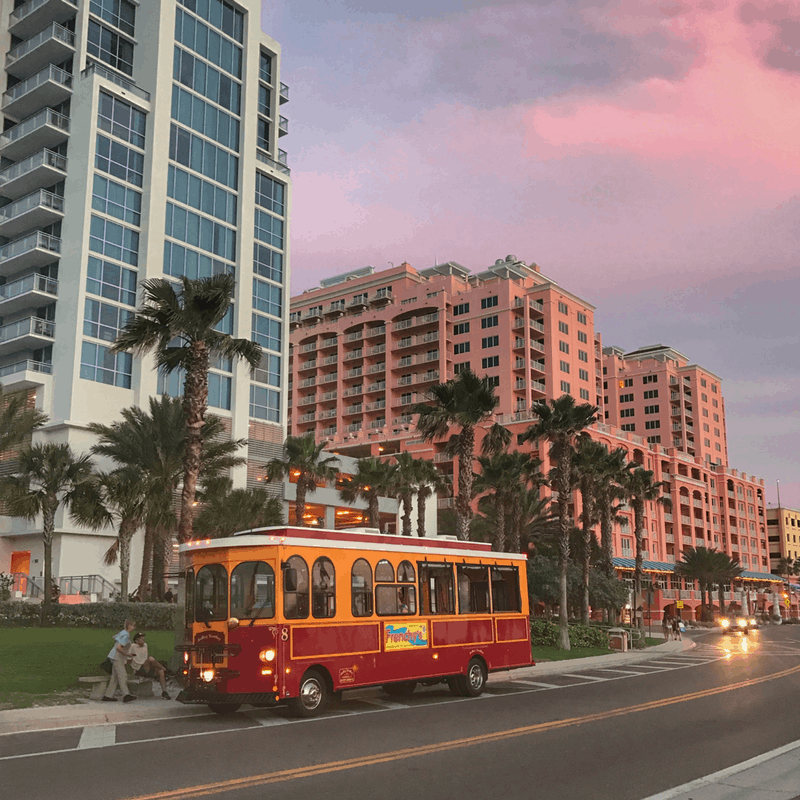 The Jolley Trolley makes multiple stops along Clearwater Beach for a low fee, Florida Free Rides runs from 9am to 3am 7 days a week and operate on sponsors and tips, and the Clearwater Ferry is convenient for visiting the Aquarium. Each sunset and sunrise is so unique. I try to do my best to adjust my schedule so that I have time to watch them whenever I’m near the ocean. On our last night, we decided to explore a bit more around the area. 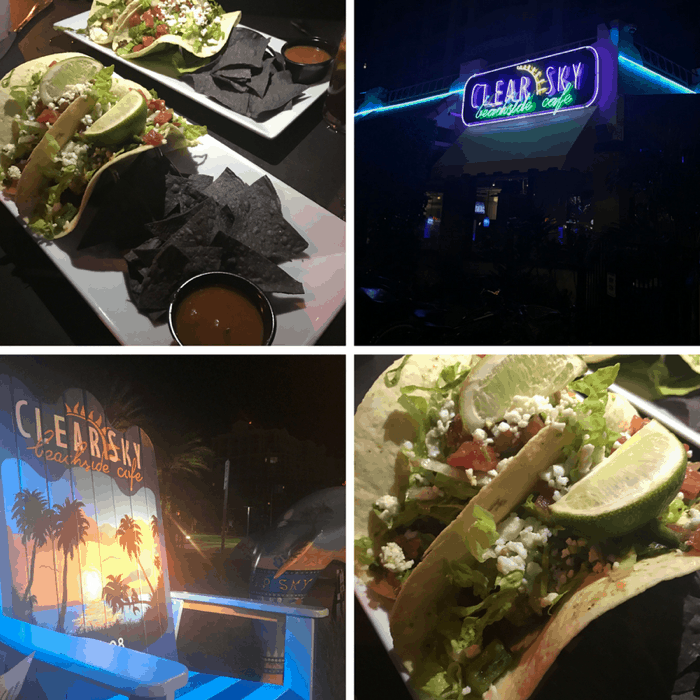 Another up and coming area in Clearwater is the Cleveland Street District with restaurants, shops, and events. 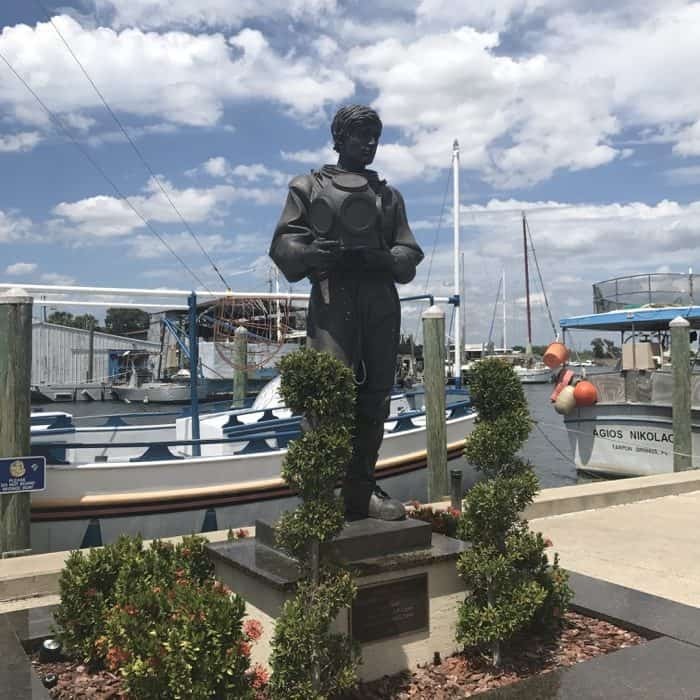 On our way back to the Airport we made a stop at Tarpon Springs. This recommendation came from a senior citizen at the gym I attend. He said that the area was known for their natural sponges that were caught by divers. The area is very Greek which means fantastic food. Unfortunately, we were between meals but we mustered up enough space in our stomachs to try the Baklava. We began and ended our visit to Clearwater at the Orlando/Sanford Airport. We found earlier flights that allowed us to have more time in Florida versus flying in later closer to the destination. This also gave us the opportunity to test drive the KIA Optima PHEV during the 2.5-hour drive. 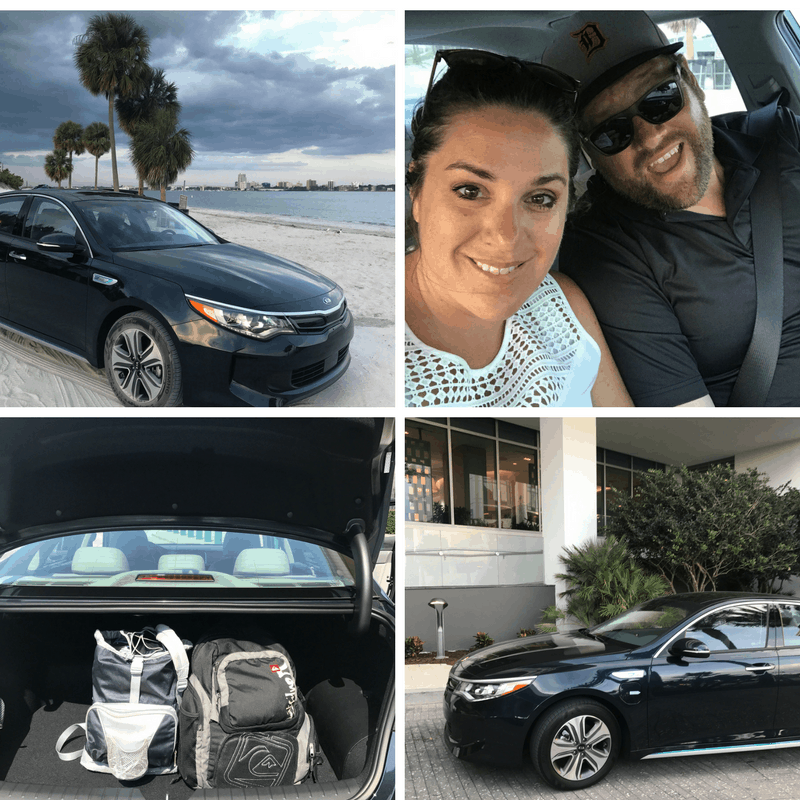 Thanks again to Visit Clearwater Beach for hosting my visit and KIA for providing our loaner vehicle. All opinions are my own. Save this post for later. Pin the image below. I’m a local resident. You did a fine job in describing our quant town! I’ll be sharing this piece with my friends and family! Thank you Susann! That means a lot coming from someone who is a local. Thanks for sharing another place to add to my list! Do you have a favorite menu item there? 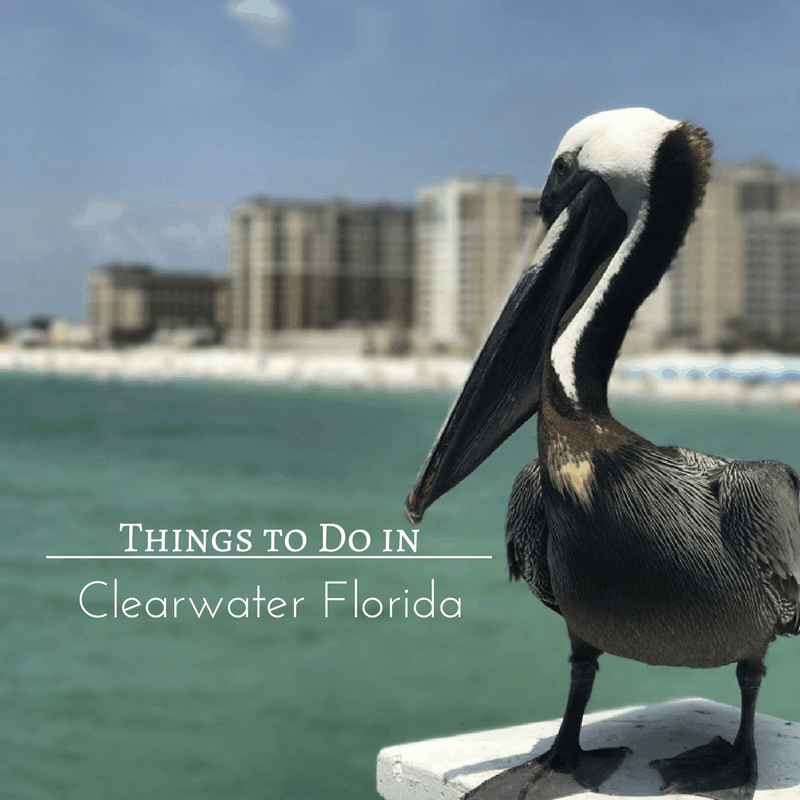 My husband and I went to visit Clearwater for a day and we stayed for 3 and still couldn’t get enough. I have questions for you if you would email me privately. 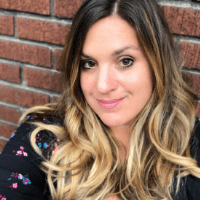 Thanks for this great article! I’ve gone in November and also in April and the temperature and weather was wonderful! Loved your post. My husband and I were there couple weeks ago just for the weekend. We felt the same way as you did, could have used couple more days. We fell in love with that place. I loved watching the Pelicans and all different kinds of birds. it was awesome to see Jellyfish just off the dock. We loved the Baithouse so much went back the next day for lunch. We are already planning to go back, stay longer next time. Glad to hear that you had a great trip! 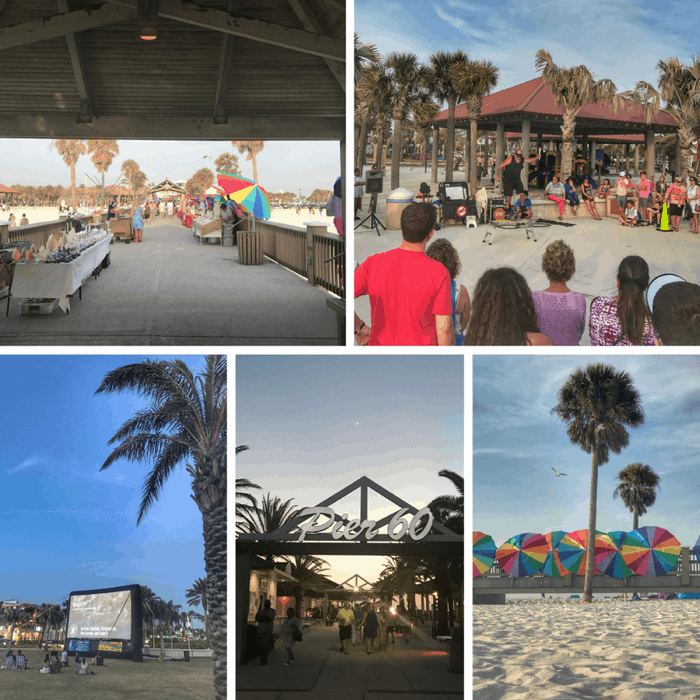 A weekend trip there definitely gives you so many reasons to want to go back! 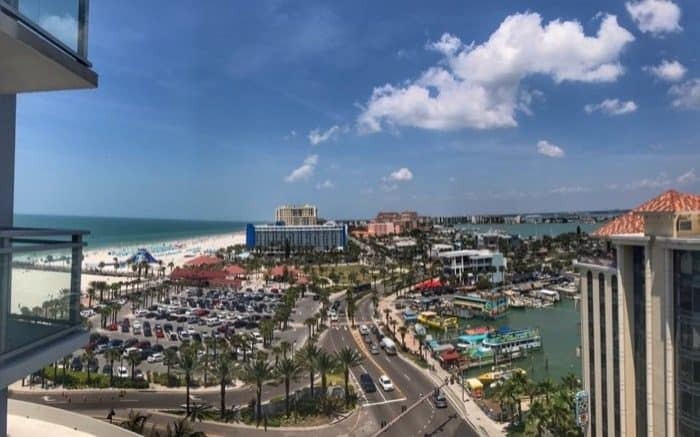 Clearwater is so gorgeous and I understand why so many people go back each year after visiting. I’m on the beach at this moment and agree with the article and subsequent comments. Amazing how clean all the shops and eateries are. We are staying at the wyndham which I highly recommend. 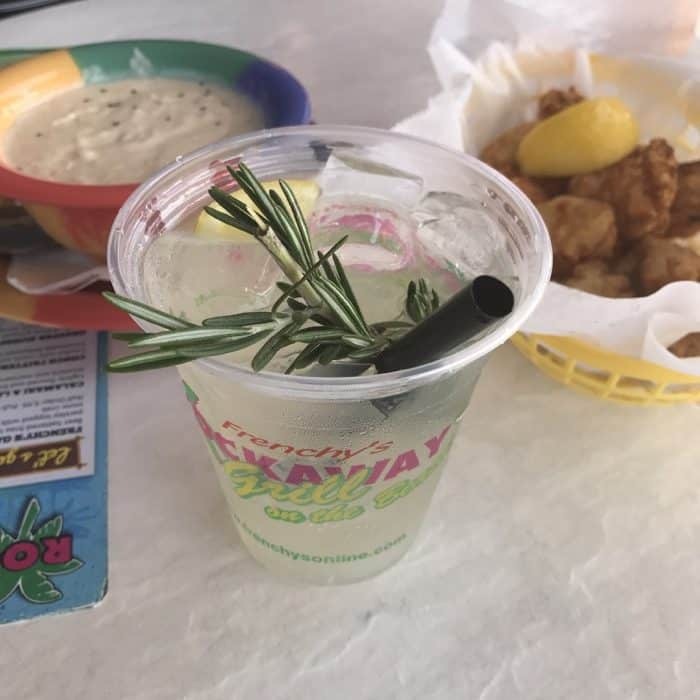 Salty’s is a great place for happy hour. We are coming back! Thank you for the sharing your experiences in Clearwater. We are considering vacationing there later this spring. I love all things Greek, so Clearwater has got my vote! You will have a great time! 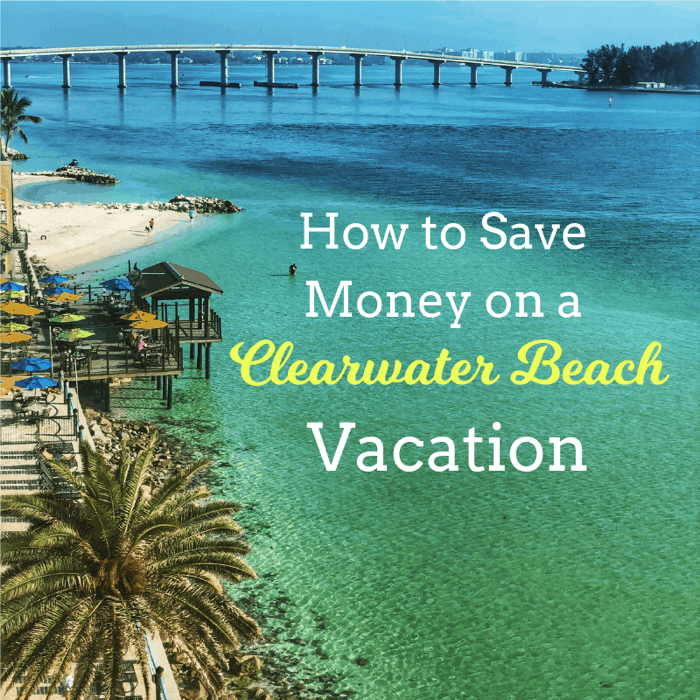 Clearwater is a wonderful place to vacation.